Bright Star Society, established as a self-help group in 2013 is an organization which focuses on empowering people with special needs in health services, skill-oriented trainings such as radio anchoring and personality development, disability sensitization short-term trainings and linking people in the inclusive framework of development. Post-earthquake, Nepal Jesuit Social Institute has been linked with Bright Star Society and distributed winter clothes, blankets, bed-nets and assistive tools like white canes, crutches and wheelchairs to the earthquake victims with disabilities in most affected areas like Dolakha, Kavre and Sindhupalchowk. They have also conducted various campaigns, programs and trainings in partnership with NJSI to empower and help person with disability to become independent. 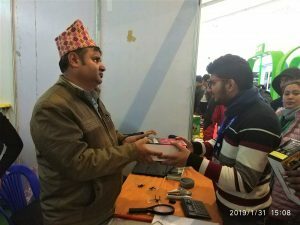 From January 29 to February 3, 2019 Bright Star Society actively participated in the grand exhibition of computer technology CAN InfoTech with the financial support of NJSI in logistic management. 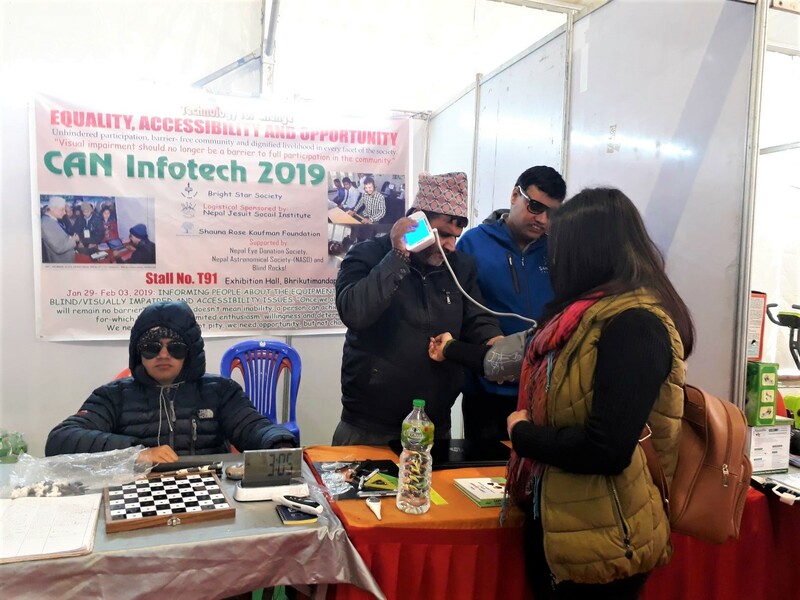 Apart from spreading awareness on how to use computers, mobile phones and braille, they introduced interesting things like a palm-talking map, Smart clock for the visually impaired, talking Blood Pressure Measuring Machine, Amazon Alexa device and many more. They also distributed white canes and audio players to the blind and visually impaired students residing in Kathmandu valley. The six days long exhibition was a grand success as the stall was always crowded with curious visitors. They expressed their heartfelt gratitude to NJSI for supporting this initiative to open up the avenue even for potential employers to consider and unlock their understanding for hiring blind and visually impaired in different job markets.